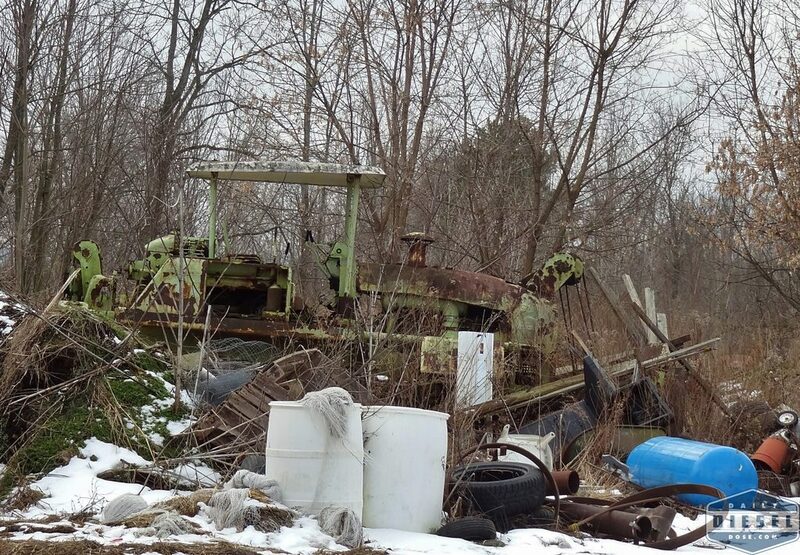 Stare at this photo long enough and you will find the hidden Euclid bulldozer. Hard to believe such a fine and expensive piece of equipment was relegated to a junk pile but there it is. I suspect this to be a Euclid C-6. As you can see the blade is controlled by a cable hoist at the front of the machine. In latter models the cables would give way to single and rather large hydraulic ram. 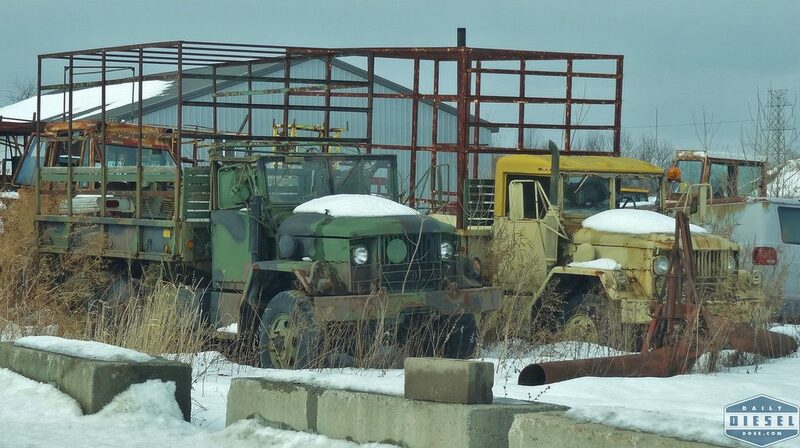 Without question a Detroit Diesel resides under the rusting sheet metal. Shame! Shame! Shame! Now it’s possible I’ve shared these old military trucks on this page before but I can’t clearly remember if that is true. I’m a busy man and can’t be bothered to check. However, if you have the time on your hands or a better memory please feel free to let me know the error of my ways. Note the enclosures on the back of each truck. One can only wonder at what agricultural purpose these once served. This entry was posted in Free and Easy and tagged euclid c-6. Bookmark the permalink. You finally stopped at that dozer huh?! There is an equally nice one on Sweet Road, buried in a hedgerow.